To find out how to transform your body, mind and soul you need to start at the beginning. Where did yoga come from? Yoga is a branch of Indian Philosophy and can be traced back to the Vedic culture around 2000BCE. It is closely entwined with Hindu Religion and is associated with other traditions like Buddhism and Jainism. Today it is more suitably described as a spiritual practice rather than a religious one. This means anyone can practice yoga and it means that you can follow a spiritual path. In Yoga terms this is known as a path of ‘Good living’. It can help you live a balanced and healthy lifestyle which will transform your body. Over time different schools and different styles of yoga have been practiced. All are designed to, as Patanjali says ‘Chitta Vritti nirodha’ . This means, the cessation of the turning of the mind, which will transform your mind and soul. Westerners today usually think that yoga is simply a variety of physical postures. The name yoga, itself, translates to ‘Union or unite’. 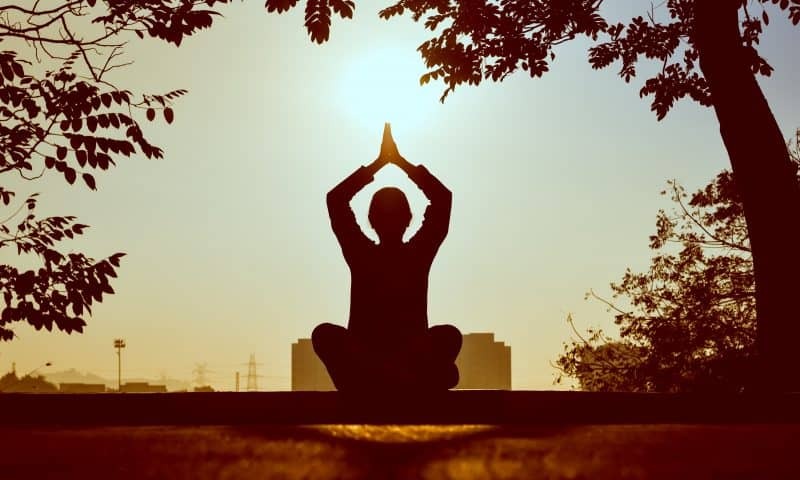 Therefore through yoga we can rebalanec, bring harmony and connect not just our body but our mind and soul also. During your yoga practice you open your body and mind with yoga postures (Asana) and breathing (Pranayama). Through this you become receptive to the delightful and profound experience of inner stillness. This is why yoga is so powerful and able to transform your body, mind and soul. For one moment, there is the reality of just that time, where we can dip a toe into a place of magic and peace. Eventually that moment becomes a minute. Then, with practice, we learn to have control over our emotions and stress reactions. Like all disciplines yoga requires training. It's rather like ‘life training’, the more you do it, the better you become at letting go. It is a fabulous tool to transform your body, mind and soul, in-fact your whole life. So why should we practice yoga? Well any practice that centres yourself is important. This way it is easier to be calm and focussed in all that we do, especially as so many people suffer from being in a constant state of anxiety or stress. It would seem that the modern world rewards behaviour that results in chronic stress. In 1974 RH Rosenman led a study in America to try and define behaviour that contributed to Coronary Heart Disease. The patterns of behaviour are ‘hard driving’ effort or striving for achievement, competitiveness, aggressiveness, impatience. People who had these characteristics were twice as likely to have CHD than those that didn’t, yet many see these behavioural traits as desirable in the workplace. If we continually subject ourselves to high levels of stress in an effort to overachieve then we are liable to cause physical and mental injury. If this is the way of the world, we need to teach ourselves ‘tools’ to deal with it. Most students start their yoga class feeling restless. Most students leave the class feeling like they have been brought towards a ‘Sattvic state’(A feeling of balance, peace and clarity). Through yoga we can influence our own reactions to stress and find a means of eliciting a more appropriate response to modern life. Yoga helps you bring focus, it enables you to de-stress and ease. It unwinds you, gives you joy and it enables your body to move freely and slows down our ageing. If your yoga class gives you all of these things you will indeed transform your body, mind and soul and it is the right yoga for you. Yoga is associated with not just benefits of the subtle body but has boundless physical benefits too. Often benefits can be immediate and life changing. Obvious benefits like increased strength, suppleness and stamina. Unlike many sports, yoga works on all of your body's muscles and enhances balance, improves posture and grace. One of the most magic benefits of yoga is that it cleanses and conditions your internal systems. It enhances your body's natural processes like, digestion, elimination and detoxification. Regular practice of yoga can alleviate symptoms of asthma, backache, headaches, high and low blood pressure and Coronary Heart Disease. 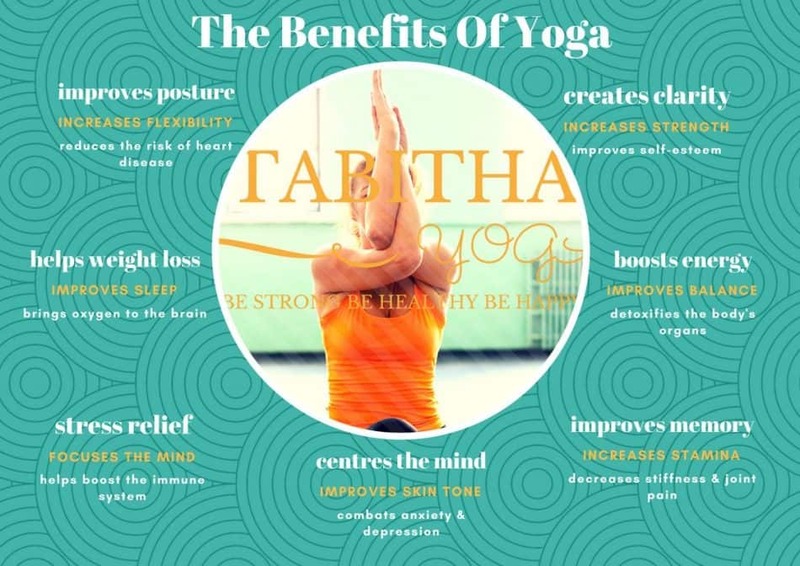 Regular yoga practise offers a mountain of physical benefits as well as the emotional and spiritual ones previously mentioned. Each posture has its own individual benefits and a complete yoga class should include a variety of postures so your body gets the full effects. Which ever posture you choose, know that the practice alone will improve not just your strength but your balance and posture too and this will stay with you all day long. Mountain, Warrier I, II and III, Dancers Pose, Tree and Triangle are just a few of the standing poses. All have amazing benefits for our bodies. Quite literally these postures will transform your body. In addition to correcting and realigning skeletal imbalances safely, standing postures stand alone in providing a concise and balanced approach to self care. With regular practice we can see increase in strength and balance. These postures work in a more subtle way too. Standing poses help you gain inner strength and courage. They help you to open yourself up to others and they remind us that we need to feel strong from the inside-out and take up space in the world. Twists are my favourite as you can feel them working, its palpable. Twists improve your digestive function. In a twist you are literally compressing your digestive organs. Once you relieve your twist, freshly oxygenated blood quickly returns to your organs, filling them with a fresh life force. This increases their ability to function well, whilst cleansing your body of impurities. This is what Iyengar called the “squeeze and soak”. Not only do twists work on the inside but they have obvious benefits to the spine. 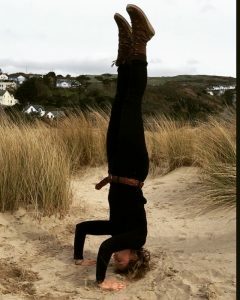 Gently rotating the spine under controlled conditions will keep you subtle and moving freely right through to your old age. This is why it's my favourite, so many essential benefits in a simple and manageable collection of postures. I love these restorative postures, especially Uttanasana (Standing forward bend). The benefits are bountiful and the ability to transform your body, mind and soul is enormous, yet the posture is effortless. On a physical level, forward bends reduce stress, anxiety, depression and tiredness. A simple forward fold can relieve tension in your upper back and neck. It calms your mind and soothes your nerves. Not only do forward folds work on an emotional level but a physical level too. Your whole spine from tail to crown will get a beautiful stretch and will keep it long and flexible. You will stretch the whole posterior side to your body, hamstrings, hips and calves will also get a deep yet, safe stretch. Tough but an essential part of your yoga practice. Back bends such as Upward Dog, boost your mood and inject energy into your body. Ustrasana (camel) opens the heart/chest which improves respiration. It expands the abdominal area to help regulate digestion. It improves your posture and helps eliminate lower back pain. So many excellent benefits, its worth persevering which these challenging postures. Perhaps one of the simplest poses to practise. 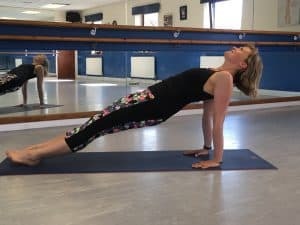 Phalakasana (PlankPose), is not to be underestimated. Whether you choose a conventional front facing plank or a reverse plank, this pose strengthens, tones and transforms your body throughout. By literally holding your body in a horizontal straight line you are developing core strength and stability. As you rest on either straight or bent arms and only your toes, you are increasing the flexibility in your feet. You are also improving your balance through your arms and shoulders. As you can see from just this short blog, yoga can encompass many things. It's not just a series of stretches. It's an activity that will positively transform your body, mind and soul. You get out of yoga, what you put in and that's not meant to be a competitive statement. You don't have to execute perfect poses and you don't have to compete with the person next to you to get the best from your practice. Remember it's YOUR yoga so practise your yoga in a way that feels good for you. In addition, all I would say is, that if you want to transform your body, mind and soul you need to practise your yoga regularly and make it part of your life. I know by doing this yoga transformed my life. Nowadays yoga is accessible in so many ways at any time of day or night: local studio classes, one on one sessions with teachers and FREE Online Classes on YouTube are to name but a few. You can practise it alone or with other like minded people. The main thing is that you do it. So why roll out your mat wherever you are and start to transform your body, mind and soul today. Super article, many thanks. For me, the benefits of yoga are physical, mental and emotional. 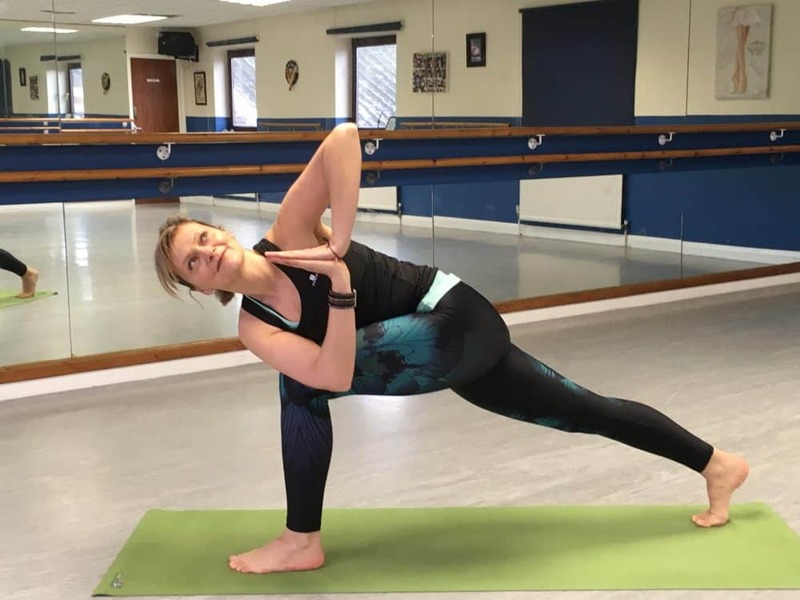 A connection with the yoga teacher is a really important factor in helping achieve all three and Tabitha’s empathic style made classes both enjoyable and effective :). 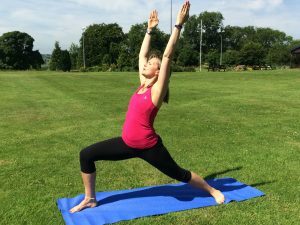 Breast Cancer – I Used Yoga & Pilates To Help Me Recover You Can Too!